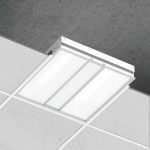 The SideView 2x2 recessed luminaire delivers visually comfortable and notably pleasant general illumination with an uncommonly even luminous surface. 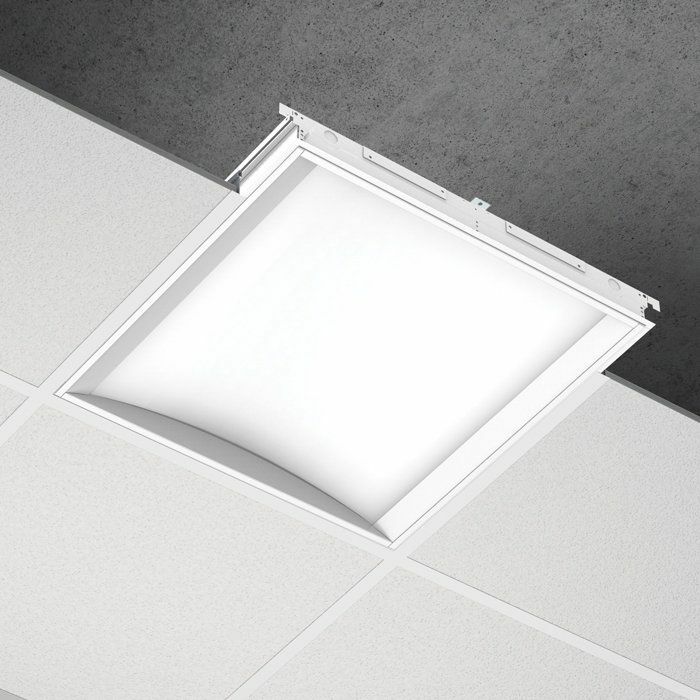 This attractive and comfortable lighting result comes from our innovative LumenWerx Compression Planar Optic. 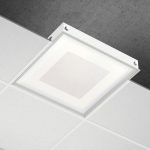 With the LED flux side-coupled directly into the optical panel, the SideView housing is very shallow, less than 2 ¾" deep. 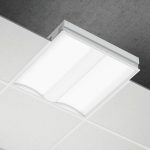 Despite its minimal depth, the Sideview’s gently curved concave optic seems to disappear up into the ceiling. Compression Planar Optics (CPO) - To create the new LumenWerx Compression Planar Optic (CPO), a rigid frame holds the edge-lighted luminous plane into a soft curve with a precise radius. A graduated and finely textured extractive microstructure, combined with a contoured upper reflector, complete the optical system. When light is coupled in from the outboard LED arrays, the specific width and curvature of the optical plane redirect light into a soft-shouldered distribution. 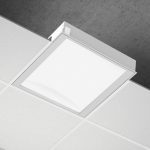 The result is a comfortable, high-efficiency optical system with superior luminous uniformity.